You are currently browsing articles tagged Swine Flu. If you are familiar with Tolkien, you’ll have to forgive my obvious allusion to his popular tale, The Hobbit, but no, my recent trip didn’t include trolls and dragons, and the only real danger was related to the risks of travel by air and taxi. So to save you the long story, and the 255 pages that comprise my edition of the Bilbo Baggins tale, I’ll make it short. On Sunday afternoon, I hopped aboard a flight to Mexico City, which seems to be recovering from its bout with the Swine Flu, where, on Monday, I met with the national leadership team about our future here in Mexico. I presented them with a report of what we had done and the plan of what we feel God would have us do in the future. They approved that plan, and they invited us back to serve for four more years here in the Yucatán! Now, that we have received this approval our upcoming itineration becomes more clear. Our goal during these upcoming months will be to reconnect with churches and individuals to show them what God has done and invite them to continue their investment in the lives of the people of this region. Thank you for your continued prayers and support as we make our transition to the States with the goal of continuing to raise disciples here in the Yucatán. The Godzwa kids: Ready to go back! The day has finally arrived! After two weeks of being homebound, Mexico has reopened its elementary and middle schools. 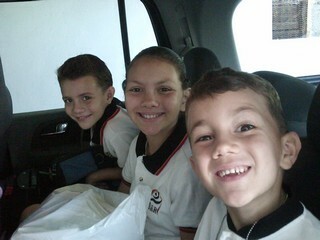 Rebekah, Joseph, and Jonathan were all smiles, ready to see their friends after the long suspension of classes. Nevertheless, although our kids are happy to return, the reopening of the schools here in Mérida is being handled very seriously. Last week around the city, school buildings were being sanitized while teachers were taking classes on how to prevent the spread of the virus. As the children enter classes, they’re being checked for symptoms. If one student is found to be ill, he or she will be sent home for a minimum of 7 days. If the school finds a group to be symptomatic, the entire building will be closed for 2 weeks and the community will place itself under surveillance. So, another step is taken back to normal life here in the Yucatán and in all of Mexico. We have appreciated your prayers and your concern through this time, and we look forward to seeing you as we plan our return to the States in June. 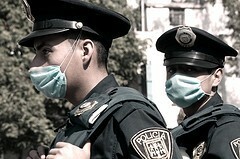 The swine flu has left its mark on Mexico. With 1204 confirmed cases and 44 deaths, the statistics are slightly less alarming than once predicted, but the disruption that it has caused, in the form of canceled activities and the accompanying economic hit (to the tune of millions of dollars), the images of mask wearing citizens, and the general preoccupation will not long be forgotten. Here in Yucatán, where we were once thought to be swine flu free, the government has reported 18 cases, most coming from previously discarded cases that have since been confirmed. 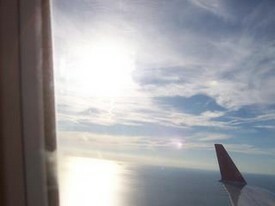 Still, even though the virus has yet to be eradicated, life begins its slow progress back to normalcy. Businesses, which had been closed completely except for basic necessities like food and gasoline, reopened on the 6th. Classes, canceled since the 28th of April, will resume on Monday, and, with the ban on public gatherings lifted, we’re resuming our ministry in churches starting this Sunday with another evangelism conference. So even though we’re statistically worse off, it seems as though this round with the swine flu is drawing to a close. Still, we ask that you would keep praying for recovery for those who are now sick, for comfort and a sense of God’s presence among those who have lost a loved one, and for a realization here in Mexico of the fragility of life and the need of Savior. Also, we ask that you would pray for us. We need to remain healthy as we transition back to the States. There is a lot of ministry to finish in addition to all of the reducing and packing we need to do before we say goodbye on June 20th. Police Officers don masks for protection. The early afternoon is usually a usually a time of hustle and bustle here in Mérida. Students are heading home for “comida” the normal big meal of the day. Families are planning for the rest of the day–sports activities, a trip to the mall, an evening downtown, or school meetings to attend. But everything is strangely quiet. There is noticeably less traffic on the avenue near our home. There is no sound from the loudspeaker that normally broadcasts the names of the students whose parents have arrived to drive them home. That’s because there hasn’t been school since Monday. 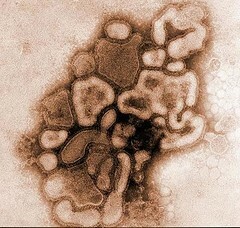 All public events have been canceled and activities that would gather people together, from churches to team practices have been prohibited, all to prevent the spread of what is now the scourge of Mexico, the Swine Flu. Our understanding that something was awry began when our friends, Josh and April Amiot notified us that they were returning to Mexico City to attend the funeral of one of their good friends and ministry co-workers. An otherwise healthy mother of three, Nelly didn’t fit the profile of those who die of the flu. Normally the very old or the very young, under six, are those who succumb. Of course, this was just the trickle before the flood. By last Friday the 24th, we had heard of hundreds sick and dozens dead as the Swine Flu spread rapidly across central Mexico. At the end of the weekend, there were reports of sicknesses in 19 of the 32 Mexican States and drastic measures taken to stem the spread of this highly contagious, and surprisingly deadly, conglomeration of three different flu viruses. Here in Mérida, and across Mexico, all schools have been closed until the 6th of May and all public gatherings have been prohibited until further notice. Labor Day, May 1st here in Mexico, will be observed without the customary parades. Sporting events have been held without fans, and our district convention, set to have begun yesterday has been suspended until a later date. Even church services are against the law. Those that need to work in the public sector have taken to donning masks to protect them against the airborne virus. But we are not writing to scare you. Our family is well, and to date, no officially recognized case of Swine Flu has been recorded here in Mérida. Still, there is a definite tension in the air as anxiety and fear have taken hold. There is a sense of helplessness apparent as society waits for word of progress against this disease. Pray for the sick; for an end to the suffering. Pray for families who have lost a loved one to the virus. Intercede for believers as they boldly pray for the sick and proclaim the Good News of eternal life. Ask for the peace of God to be felt across the land, and for many to commit their lives to the Prince of Peace. Please join with us during this crucial time.